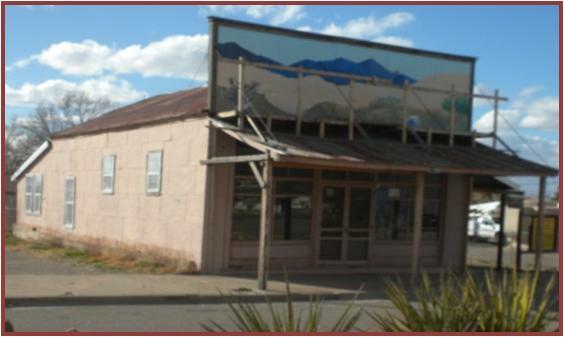 This frame building is one of Carrizozo's earliest, appearing little changed in the oldest photographs of the town. Built ca 1906 as a tin shop, it has seen a variety of uses over the years. Today, it is owned by Johnson Stearns' family, a local historian and former mayor, banker and hotel proprietor, who had an office here.